Trump’s choice of Gov. Pence as his VP is a brilliant move. 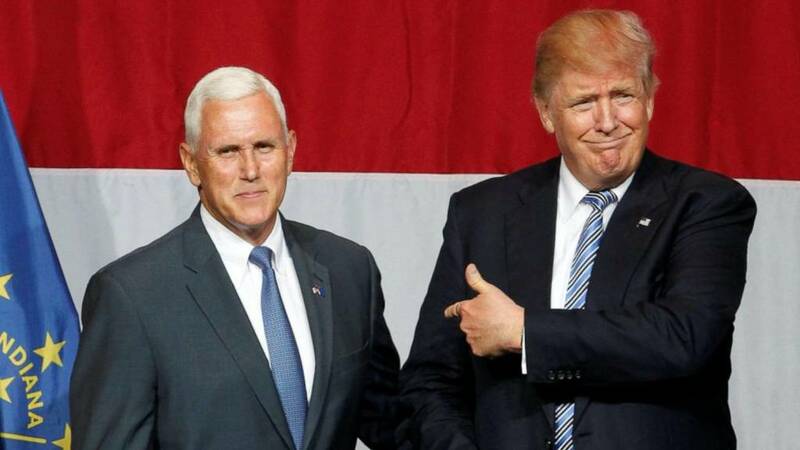 Pence is a good conservative who endorsed Ted Cruz, but is nationally unknown. While Sen. Cruz would have galvanized the party by pulling in most of those who love him but hate Trump, it would have driven off some of the swing voters who have been taught by lib media to hate Cruz. The chess game continues as Trump continues making master moves against both the Democrat and Republican power machine that is tearing America apart. But the NeverTrump crowd is threatening to turn over the apple cart because of their spite for the lone wolf billionaire. While it’s understandable for GOP elites to hate Trump trying to elbow his way into their clubhouse and spoil their gravy train working with Democrats, what is the excuse for Cruzers? Trump has been reviled for playing politics in the past by being the businessman appeasing those in power, but that doesn’t make him one of them. He has pulled back the Reagan Democrats who realize that liberalism is destroying this country with promises to restore conservative principles to government, but he’s not calling it that. Donald Trump didn’t prosper because he’s adversarial with those over whom he has no power, but because he understands how to deal with people. But when he is dealing with those with whom he is contesting he is a pit bull! And though he is tough as nails and willing and able to fight fire with fire, he’s on the side of what is right. If Trump can turn voters who have been so ignorantly voting for Democrats with a simple message, why would educated conservatives turn up their nose at that? So what excuse do conservative purists have to sit out this next election? In 2012 they stayed home to let Obama win a second term. How did that make America better? Now they want to oust Trump who was rightfully elected in the primaries. Trump beat all comers fair and square and brings the hope of that tenacity to the White House on a promise to fight for the American people. Even if they don’t believe in Trump’s motivations, why would anyone believe he’s on the side of Hillary and the Democrats? If they can’t steal the candidacy will they take their ball and go home, handing the election to Hillary to cement Obamaism into America’s soul? Some say Trump is in it to give Hillary the presidency she obviously cannot win on her own. By staying home to make it happen, NeverTrumpers don’t prove their point, they betray their own principles out of petty spite. Hillary guarantees Obamaism forever. Give Trump a chance! Read more at – GOP f***-ups cry Dump Trump!